As I said in the video yesterday, today I worked from a photo instead from an illustration in a book. 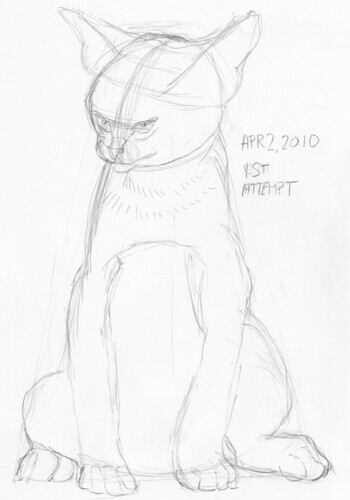 Drawing live makes me feel less at ease, so the proportions on this kitten were off. Even so, as a warm-up sketch it was a success. Compare both the reference and what I drew and see what I still have to work on (hint: the head should be bigger; it’s 1/4th of the height of the body, instead of 1/3th).